And yet there is a widespread divergence concerning how that word is understood across society. Even among my own close associates, there are huge differences in terms of how we each interpret the word. This suggests a paradox: the word is used all the time, but there is little common agreement on what it means. I would argue that this disparity of understanding about ‘evil’ is not just a trivial one concerning the precise semantics of a single word, but points to significant cultural differences that have been at the root of many social problems. In this context Maziar Bahari’s documentary film, And Along Came a Spider (Va Ankaboot Amad, 2003) , which on the surface is simply an account of an unrepentant serial killer in modern Iran, is actually much more profound than that – it is an interesting (and disturbing) exploration of how ‘evil’ is understood. 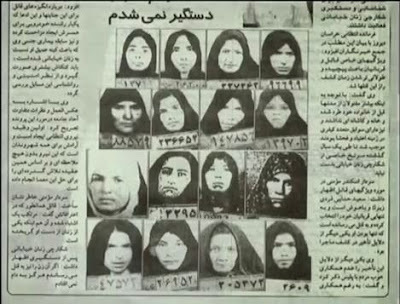 The subject of the documentary is Saeed Hanaei, a resident of Mashhad who carried out a secret campaign of personally murdering prostitutes. From July 2000 to July 2001 Hanaei killed 16 prostitutes by luring them one-by-one into his apartment while his wife was out and then suffocating them and disposing of the bodies. Because of his procedure of inviting the prostitutes to his home, he was later likened by the press to a spider luring flies to its web and became known as the “spider killer”. Bahari’s film is mostly “talking heads”, but he definitely got some interesting heads to talk to. In documentary filmmaking it is not so important what goes on behind the camera as what you have in front of the camera. In this case Bahari, in collaboration with Iranian reporter Roya Karimi, managed to get exclusive and candid interviews with Hanaei, his family, and with relatives of some of the victims. The presentation is further enhanced by the haunting musical score by Payman Yazdanian. (He was listed as “Payman Yazdanian” in the closing credits, but I am assuming that this is Peyman Yazdanian, who composed evocative piano scores for The Wind Will Carry Us (Bad Ma-ra Khahad Bord, 1995), Going By (Az Kenar-e Ham Migozarim, 2001), The Deserted Station (Istgah-Matrouk, 2002), The Wind Carpet (Kaze no Jûtan, 2003), Crimson Gold (Talaye Sorkh, 2003), Friday’s Soldiers, (Sarbaz-haye Jome, 2004), and Fireworks Wednesday (Chaharshanbe Suri, 2006)). The film mostly avoids any polemical or moralistic voiceover commentary and unobtrusively allows these people to speak for themselves. It is left to the viewer to draw his or her own conclusions. And depending on one’s moral perspective, each viewer might draw different conclusions concerning what is shown. There is no real suspense concerning what is shown. In the first eight minutes of this 53-minute film, the basic facts of the case are already laid before the viewer. 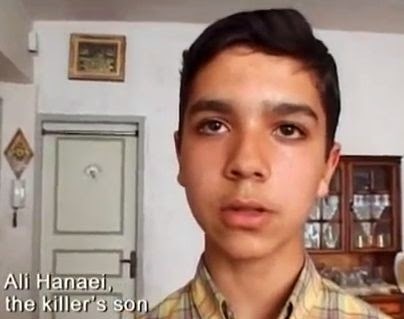 In fact even before the film’s titles are presented, we learn that Hanaei is a convicted murderer and proud of what he has done. As the film proceeds, it shows that he decided to kill prostitutes after becoming enraged when a Mashhad taxi driver mistook his wife for a prostitute. 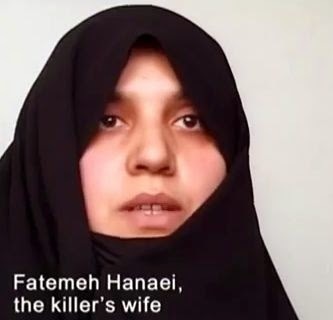 But although Hanaei confesses to Ms. Karimi that revenge was a motive for his deeds, he feels that his murders were in accordance with Islamic doctrine. He felt that he was removing “pollution” from the world in alignment with the Prophet’s teachings. In fact he mentions that he had lined up 80 more women to kill and would have carried out his plans if he hadn’t been apprehended by the law. Mashhad, like most large international cities, has many prostitutes. 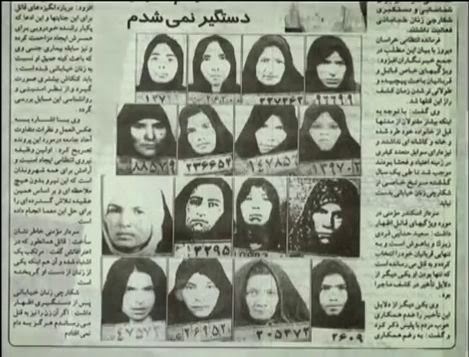 The film narrator mentions in voiceover that the Mashhad police had recorded knowledge of 5,000 prostitutes in the city. In addition drug addiction, primarily with opium, is a major social issue in Iran. I have seen estimates that six per cent of the adult population is addicted, but it wouldn’t surprise me if the true figure was considerably higher than that. Opium smoking (as distinct from the more intense experiences associated with heroin addiction) has had a long tradition in Iran, and opium can be easily and inexpensively obtained if you ask the right people. The netherworlds of drug addiction and prostitution are connected, and the film mentions that 15 of Hanaei’s 16 victims had been previously incarcerated for prostitution and drug-related charges. Hanaei says that 14 of his s16 victims were junkies. As far as Hanaei was concerned, he was removing scum from the earth by performing his murders. So early on, the most shocking aspects of this tale have been revealed. The remaining forty-five minutes do not reveal much that is new, but they penetrate further into this story, and I found them interesting, anyway. 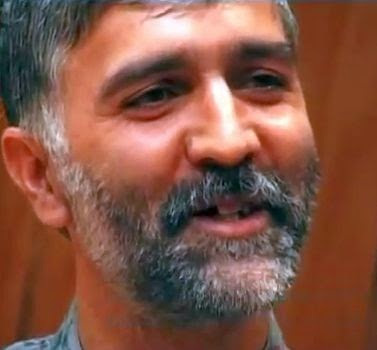 There is more discussion with Saeed in prison, who smilingly speaks of his earlier days and provides more detail concerning how he managed to carry out his murders always when his wife was out of the house. There are interviews with working-class people and shopkeepers, who express moral support for what Hanaei has done, although some felt that he went too far. Interspersed among this material are comments from the victim side of this story. One of them is an 18-year-old girl, Mahasti, who was never approached by Hanaei, but is presented as a typical young prostitute. She has been a prostitute for the past five years and is shown only in silhouette. She was forced into marriage when she was 10-years-old and then bullied by her husband into prostitution to support his drug dependence. Her testimony probably epitomizes the experiences of most prostitutes, who are themselves victims of a society that has left many of them impoverished and in servitude. Also shown are two young daughters of another of Hanaei’s victims, and they sadly talk about their lives and the loss of their mother. Saeed argues confidently in the court hearing that he was acting to remove what is spoken of in Islamic law as a “waste of blood”. 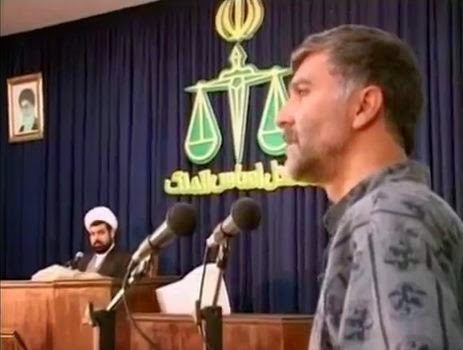 The magistrate at the court, Hojatolislam Mansoori, acknowledge that the “waste of blood” notion was a valid concept for killing someone, but that Hanaei was not in the position to make the correct judgement. 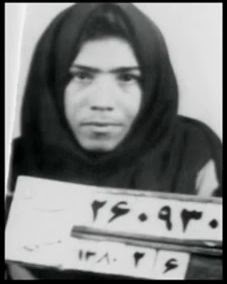 Hanaei is sentenced to death and hanged in 2002. The idea of evil as a distinct force in the world (as opposed to just seeing evil as the absence of good) was most clearly articulated in religious form by two belief systems originating in Iran: Zoroastrianism and Manicheanism. Both of the religions viewed evil as a powerful force, equal in power and opposed to good. The world was seen as an eternal struggle between good and evil. These ideas were ultimately incorporated into the Abrahamic religions (e.g. Judaism, Christianity, and Islam, etc. ), which are monotheistic and believe in an all-powerful creator of the universe. But or course the concept of evil brought in serious philosophical problems for these monotheistic religions. How could an all-powerful creator of the universe, who is supposed to represent everything that is good, allow evil to exist in His creation? Theologians have struggled with this question for centuries, and about the only answer they have come up with has been that the Lord works in mysterious ways – it’s all too much for our finite brains to fathom. Nevertheless, the concept of evil is used in these religions and applied to individuals. A person, like Hitler, can be considered to be evil and a “waste of blood”. As John Gray has pointed out, even in our modern secular world that is inspired by notions from Western scientific rationalism over the past three centuries, the concept of evil is widely invoked . Secular modernists, like the religionists, can focus on the individual, but they may not always use the word ‘evil’. Instead they dismiss a miscreant as a “psychopath” – essentially meaning a defective biological organism. Thus people like Hitler and Osama Bin Laden are sometimes said to have been psychopaths. In many cases, however, the secular concept of evil is applied not to an individual, but to a whole cultural grouping, such as ISIS in the Middle East. Killer2. He has command of great destructive power and sometimes out of negligence kills victims as “collateral damage”. For Harris, Killer1 is worse than Killer2, because he (or she) meant to kill his victims, while for Killer2 it was an accident. For Harris, evil intention is the dominant consideration. For Chomsky, however, Killer2 is worse than Killer1, because at least Killer1 acknowledges that his victim was human and was a worthy adversary, whereas Killer2 regarded the victim like an ant that one might step on while walking down the sidewalk, i.e. non-human. For Chomsky evil consequences are dominant, and those who disregard those consequences are more evil. Chomsky thus sees the malevolent actions of Western powers as being like Killer2, such as the 1998 bombing of the Al Shifa pharmaceutical plant in Sudan, which led to the collateral-damage deaths of tens of thousands of innocent Sudanese who suffered from the unavailability of needed medication. The Western powers (the USA in this case) did not regard the lives of Sudanese as worth considering, because their primary concern was to destroy what they thought might be a plant site for the manufacture of chemical weapons. For Harris, the 911 attack a few years later was much more evil, because the assailants wanted to kill as many people as possible. In any case, both Harris and Chomsky see evil as arising from an evil culture. In Harris’s case the evil culture is Islam, while in Chomsky’s case the evil culture is American Exceptionalism. 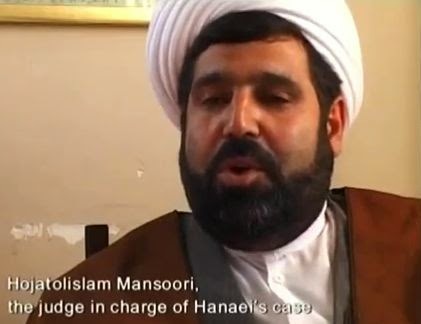 If they looked at Saeed Hanaei’s actions, they would both probably focus on the evil social circumstances that led to his crimes, rather than on the evil inside his soul. To say that someone is evil or is a psychopath is merely to label them with an opaque name, and it closes the door on further analysis. Indeed, the field of psychiatry has often lived off the practice of merely naming a behavioural malady (such as schizophrenia, depression, ADHD, etc.) and considering that to be an adequate diagnostic understanding. In this case, to call someone evil is to suggest that they are subhuman and not worthy of empathetic consideration. It is evident in the film that this is how Saeed Hanaei thought; he considered the prostitutes to be despicably subhuman and even “worse than animals”. So evil-skeptics suggest that the notion of evil, itself, leads to further harm. Many religionists would consider Hanaei to be fundamentally evil, although some of them (the hardliners) might align themselves with Hanaei’s own arguments and consider him to have been doing God’s work by erasing those who are a “waste of blood”. Many secular rationalists would likely dismiss Hanaei as a psychopath, although some would see him as a victim of an evil culture. Note that Sam Harris’s focus on Islamic culture as generating evil is probably not balanced, and it is easily countered by examples from the US, such as Ted Bundy  and the My Lai Massacre [6,7]. Evil-skeptics are likely to suggest that the notion of evil merely causes further harm by legitimising cruelty on the part of individuals who lack empathy and compassion in their efforts to combat what they believe is evil, such as was the case with Saeed Hanaei. We need new and better social mechanisms to nurture more empathy and to guide those who have difficulties or deficiencies in feeling empathy. Killing other humans for the purposes of satisfying one's own selfish material interests. Killing other humans for the purposes of personal revenge. Killing other humans in order to assist God in eliminating those who are a “waste of blood”. Killing other humans in wartime in order to serve one's own country’s interests. Most people would place themselves somewhere on this ladder (probably level 4 or level 5) and regard those who occupy positions higher up on the ladder to be evil. 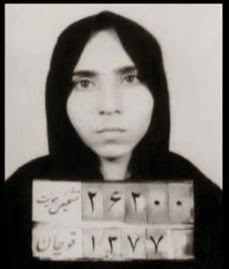 But the killings performed at one level provide a foundation for moving up to the next level – Hanaei had served in the Iran-Iraq War and mentioned that his subsequent prostitute-killing campaign was merely a continuation of his holy-war-based actions to eliminate “corruption on earth” by killing enemy soldiers during the war. Maybe in order to deal with the problem of evil, it is time for everyone to get off that ladder altogether. And Along Came a Spider closes not on the image of Hanaei being hanged, but on the smiling, wistful face of one of Hanaei’s victim’s daughters. There is no place for evil in that image. John Gray, “The Truth About Evil”, The Guardian, (21/10/2014). And Along Came a Spider is available on YouTube. You can find a copy of the film here. Todd Calder, “The Concept of Evil”, Stanford Encyclopedia of Philosophy, (26/11/2013). Sam Harris and Noam Chomsky, “The Limits of Discourse”, Sam Harris, The Blog, (1 May 2015). “My Lai Massacre”, Wikipedia (15/5/2015).